A vacation to Cancun, Mexico, last week to celebrate a birthday ended in anguish when an Atlanta-area woman says she and her friend were mistaken on the flight home as human trafficking victims. The incident, which led Delta Air Lines to say it was reaching out to the customers, has put a spotlight on the delicate position of correctly identifying victims while rooting out incidents of trafficking. One of the travelers, Stephanie Ung, who had just turned 26, told NBC affiliate WXIA that she was questioned by U.S. Customs and Border Protection officers for more than an hour upon arriving at the airport. She said she never got a straight answer as to why she was detained. "I just kept telling them that I wanted to go home for my family Thanksgiving dinner, and that they were making me late, but they just didn't care," Ung said through tears. "They just laughed." "The fact that I missed dinner with my family — you can't take that back," she added. "I can just look at the pictures and feel sad that I wasn't a part of it." Ung, who is Asian American, said that she believes her race was a factor in the situation. "I know human trafficking is huge within the Asian community, right, and that's the only reason why I could see you stopping me," Ung said. "That and the fact that I was in a dress. I was in a dress with some cardigans and boots, and I think that's totally appropriate to fly on an airplane with." She added that her friend also has an Asian background and other passengers might have viewed them as "two little girls on the plane." She acknowledged that some might see that as a red flag, but in this case, people were wrong and need to "mind your own business." A Delta spokesperson said that another passenger on the flight believed someone else was in possession of the women's passports at the time and reported that concern to the crew. Someone holding another person's passport can be a "possible indicator of a human trafficking event," Delta said in a statement. U.S. citizens are required to have a passport to fly to and from Mexico. Ung told the station that they were in possession of their own passports during their trip. She could not immediately be reached for comment Tuesday by NBC News. Since 2011, Delta said it has been training its flight attendants to spot possible cases of human trafficking and contributed $1 million this year to help the anti-trafficking group Polaris. In this situation, the airline added, it took the concern seriously and contacted authorities. 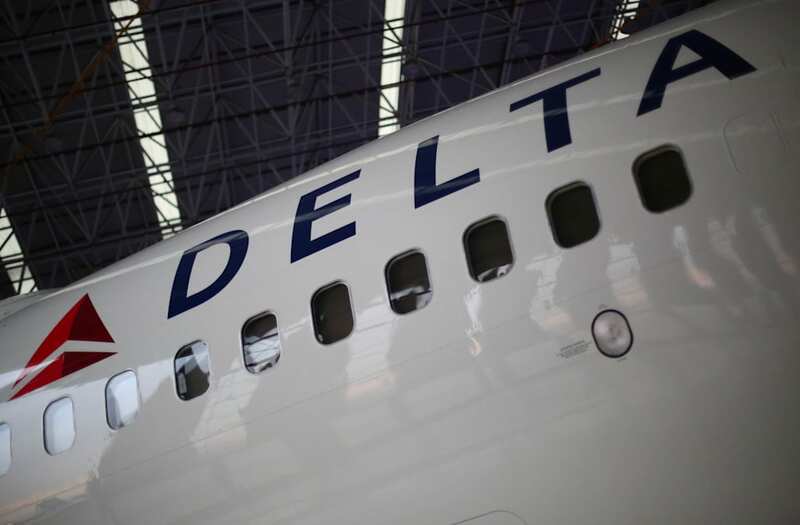 "While their investigation did show that our customers were not being trafficked, we train our crew members to remain alert and use their professional experience and practice best judgment to ensure the safety of all customers," Delta said. The airline said it is "troubled" by accusations of discrimination and has reached out to the affected travelers. Customs and Border Protection said in a statement that it cannot comment on individual cases, but that any traveler who feels that an officer has acted unprofessionally can voice concerns to the on-duty supervisor or anonymously report allegations of misconduct online. Federal authorities say Atlanta remains one of the largest hubs in the country for sexual exploitation and human trafficking. Georgia ranks sixth in the nation for reported cases, according to the National Human Trafficking Hotline.